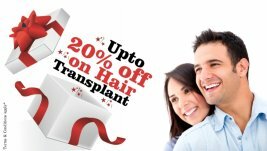 FUT is a hair strip harvesting and implanting method in which firstly donar area is cleaned for further process so that it cannot spread infection or side effects. The whole surgery is performed under a local anesthesia, at the time of this process patient can watch tv, listen music or can talk with doctor or staff. The FUT takes a long thin hair strip from side or back scalp , then hair strip is divided into small follicular unit individually in the form of graft in which 3-4 hair is placed. After taking the hair strip the surgeon stitch the donor area, and after sometimes the regrowth is started naturally. Hair strip is extracted from a donor area then divided into small follicles by which graft are prepared, the surgeon use microscopic techniques to implant the hair. The doctors make a very small hole for the insertion in a scalp where the grafts are inserted.